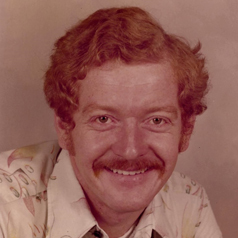 GOW, Ranald “Red” William – Peacefully on Thursday, January 31, 2019 after a courageous fight with cancer at the Cornwall Community Hospital with his loved one by his side Ranald “Red” William Gow of Cornwall; age 73. Red was the proud owner of Tech Auto. Cherished friend of Nicole Cardinal. Survived by two children and many cousins. He will be missed by his furry friend, Star. Predeceased by his parents Isobel (née McNairm) and William Gow and sister, Catherine Jones. Cremation has taken place. Memorial donations to Canadian Cancer Society gratefully acknowledged. Arrangements entrusted to McARTHUR BROS. & MacNEIL FUNERAL HOME & CHAPEL , 428 Second Street East, Cornwall (613-932-6300). Condolences may be left at www.mcarthurbrosfh.com.